Hello to everyone following the blog ! 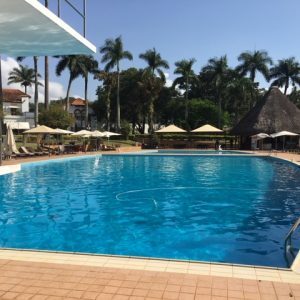 Well here I am again ( 18th time in 9 years ) in Uganda – it is hot over 30C but with a swim very pleasant. 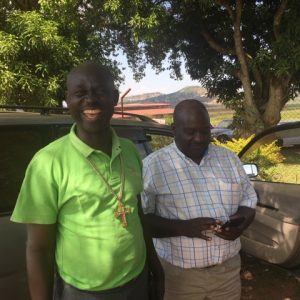 I am just off to Kampala via Kajjansi to pick up Bishop Joseph who has flown down from Arua – this is the first time CRESS has paid for his flight, normally he has to travel on the very fast but dangerous overnight buses. However he has only just got back from his 3 week visit to a bible college in South Carolina where he was funded to attend a leadership course. Then as soon as this week is over he is off the the South Sudanese Bishops conference in Juba. So he is a busy man and moving upwards. I look forward to seeing him. I am just waiting for Patrick the driver to take me to Kajjanski to collect Joseph and then on to Kampala – to the heat and traffic. 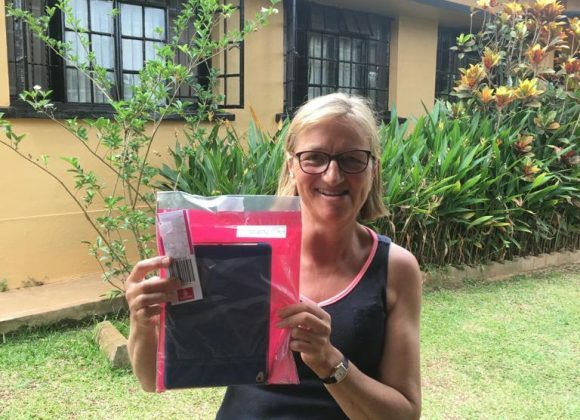 We will stay at the characterful Namirembe Guest house where we have stayed on many occasions in the past with others such as Disie Rushforth a few years ago. Joseph and myself are bound to meet some interesting clergy or missionaries there. Thank you for your prayers – all clear with the luggage – and flights long but fine.